November 10th marked another anniversary of the tragic sinking of SS. Edmund Fitzgerald. Thousands of ships have sunk in Great Lakes since the European explorers began navigating the Lakes in late 1600. However, none has been as famous as Edmund Fitzgerald. Some attribute the fame to Gordon Lightfoot popular song about the tragedy. But I think, it is more a result of the fact, that it happened in recent times, when you would not expect that a modern ship could go down like that. Also, the lack of definite answer to the cause of the accident adds to the mystery and fame. 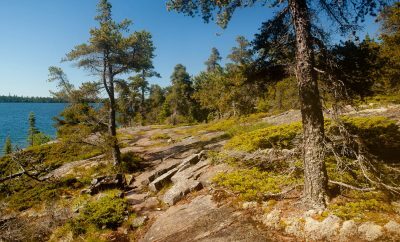 To this day, Edmund Fitzgerald generates a lot of interest among visitors to Great Lakes and Michigan’s Upper Peninsula. However, there is not much available besides stories. Very few of artifacts from the ship exist. However, they are all that you can check. Diving the wreck has been greatly restricted by Canadian law. 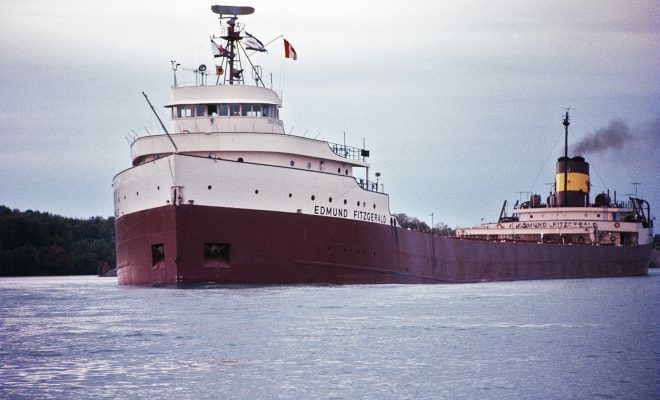 Edmund Fitzgerald sank 17 miles from Whitefish Point (in Upper Peninsula), in Canadian waters. In 2005, amendment to the Ontario Heritage Act allowed the provincial government to require a license for diving any area designated as protected. Therefore, anybody interested in seeing anything that is a part of Edmund Fitzgerald legacy is limited to the few available artifacts. 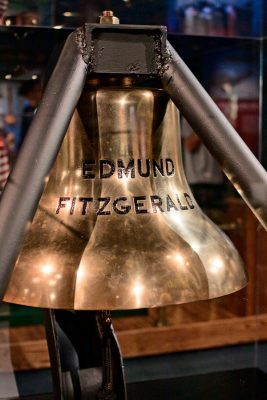 The Bell from Edmund Fitzgerald. 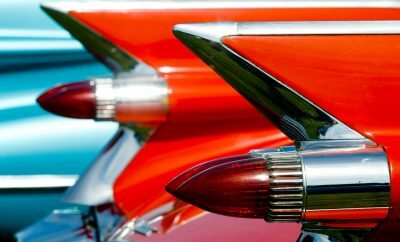 Photo: public domain. One of them is the bell, recovered from the wreck in 1995. The bell’s Memorial display can be seen at the Shipwreck Museum, at Whitefish Point in Michigan, each season, from mid-May to mid-October. The Museum is open every day during this season from 10 am to 6 pm. 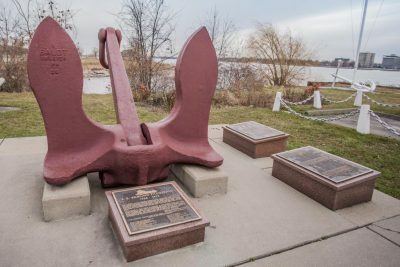 The anchor from Fitzgerald, lost on an earlier trip in Detroit river, was recovered and is on display at the Dossin Great Lakes Museum in Detroit, Michigan. 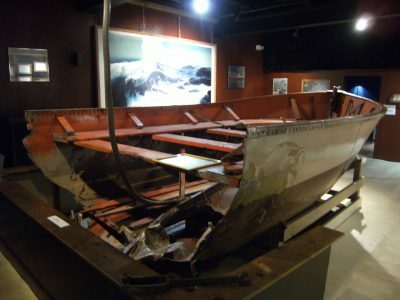 The Dossin Great Lakes Museum also hosts a Lost Mariners Remembrance event each year on the evening of November 10. Finally, artifacts on display in the Steamship Valley Camp museum in Sault Ste. 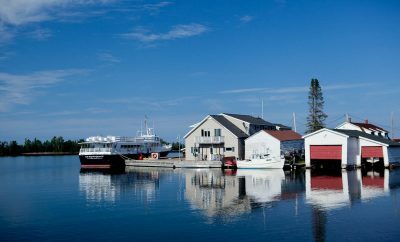 Marie, Michigan, include two lifeboats. There are also some photos, a movie of Fitzgerald and commemorative models and paintings. So, as you can see, there is not much out there. But if you are a history buff, intrigued by the Fitzgerald, you might want to stop at these museums to see the exhibits. If you are interested in more details about the Edmund Fitzgerald history, you can start here: https://en.wikipedia.org/wiki/SS_Edmund_Fitzgerald.